Is This The Golden Age Of Star Wars Fandom? Star Wars Day, May the 4th, is already providing a ripe rollout of reveals for a year that quintessentially culminates on December 18 with the franchise relaunch, Star Wars: The Force Awakens. Yet, more potentially potent projects are on deck than ever before with not only the rest of the Sequel Trilogy, but spinoff films, a better presence on the small screen and even a reorganized Expanded Universe of novels and comic books. Clearly, fans will see their favorite franchise set for a level of unprecedented ubiquity. Do we dare believe, then, that this is a golden age of Star Wars fandom? Well, history -- especially Star Wars history -- has taught us quite a bit about what happens when franchises expand. And this impending "age" of the Star Wars franchise still has plenty to prove before we can could call it "golden." To answer the Golden Age question, let’s first define the term for our purposes as the definitive apex of a franchise's cultural relevance and financial success. In that sense, the definitive answer will have to remain undetermined, since it rests on how The Force Awakens will take shape this December. We don’t just mean in a sense of how "good" the film will ultimately prove, but how well the Sequel Trilogy kickoff can effectively cultivate the sacred quintessence of Star Wars -- meshing it with modernity, into something that begets a truly exceptional form of contemporary fan fixation. As it stands, the new franchise overlords at Disney are giving Star Wars plenty of chances to thrive, making the franchise's cinematic dance card fuller than it’s ever been. At least five films are booked for the next four years, with the Sequel Trilogy and two spinoff films designated as being from an "anthology" series, like 2016’s Star Wars Anthology: Rogue One, set to intermittently fill the hiatus gaps between the years that the chapters of the Sequel Trilogy are released. Plus, the animated series Star Wars Rebels is becoming a notable presence on television, and Disney has promised a massive reorganization of the Expanded Universe of novels and comics, ensuring a more stable canonical place for those works. Clearly, Disney has been working on magnificent machinations to correct the decline in quality that affected the franchise expansion in the last decade and a half when another period of massive growth ensued. Fans felt that they were on a similar, epochal edge when 1999’s Prequel Trilogy launch, Episode I: The Phantom Menace, loomed. Despite what turned out to be the innately divisive nature of that film, it would serve as the dawn of an extremely lucrative expansion of the Star Wars franchise empire beyond anything it had been during the Original Trilogy’s heyday. Yet, there were also corrosive consequences that saw the franchise as watered-down, as the branding manifested in a plethora of non-cinematic properties that arguably lost sight of the Original Trilogy's "sacred quintessence." That is not to say, by any means, that properties like Star Wars: The Clone Wars or even the levity-lifted Lego Star Wars projects were specifically damaging to the brand. Rather, the point, is that by virtue of magnitude alone, the post-Prequels era would broadly chip away at the once-sacred veneer of the franchise, diluting its prestige and cultural standing with a constant multiple-medium barrage. If that period proved anything, it’s that the pure quantity of content that awaits us in the future does not necessarily guarantee that a "Golden Age" awaits fans. As we round the 10-year anniversary of the conclusion of the notoriously divisive Sequel Trilogy films (marked by 2005’s Episode III: Revenge of the Sith), we have seen what happens when promising vehicles get too fixated on superficial screen concepts in lieu of a disciplined storytelling process. The Prequels may have garnered themselves a level of generational adoration, but it could be argued that their expansion of the mythos manifested a less poignant plurality that didn’t broadly find themselves quite as reshaped on a visceral level as fans of the Original Trilogy had back in the day. Yet, it could also be argued that the Prequels were not entirely to blame. Lightning can’t strike twice, and as much as Star Wars has become ingrained deeply into popular culture, the audiences have also evolved from the perspective of technology and media consumption that renders them far too different in expectations and sensibilities to be as receptive as Star Wars audiences were in the 1970’s and 1980’s. While there have been other films that have since surpassed it, financially, the 1977 original Star Wars zipped across the zeitgeist, not only standing apart from its gritty, crime-centric cinematic contemporaries, but ushering in a new age for the film industry. It served as the definitive template for how a blockbuster film could capture the imaginations of broader audiences, making them truly believe in a mythology with passion. 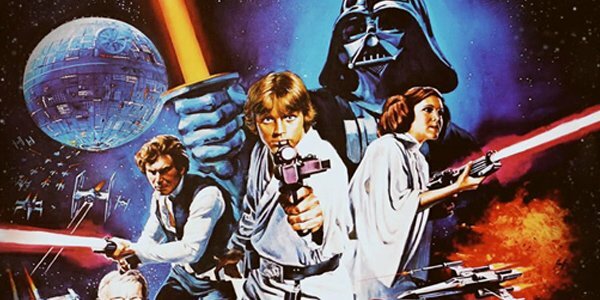 After the Original Trilogy ended with 1983’s Return of the Jedi, it certainly did seem that a "Golden Age" epoch of fandom had come to a close. 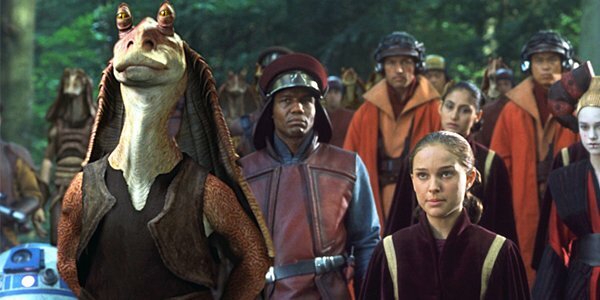 Later on in 1999, The Phantom Menace felt like the dawning of a similar epoch, anticipated as the cultural event of the turn-of-the-millennium era... until it was seen. We learned an important lesson with the Prequels; mainly that certain phenomenon just can’t be replicated; at least in quite the same way, regardless of how large the scales are upped. We're in for a spectacular wave of Star Wars cinematic epicness. Make no mistake. The Force Awakens will make a ton of money, regardless of what it actually showcases. That’s a testament to the branding. Likewise, with an array of characters both new and old lined up, its ensuing merchandise should sell amazingly well. Moreover, there is little doubt that every one of the five Star Wars films that Disney have queued up will be spectacular successes and there will be amazing times ahead for fans. However, to categorize our time period as a "Golden Age," may require more than just the kind of success represented by media attention and dollar signs, despite those things being critical elements. It depends on how the new films can isolate the essence of what made Star Wars so exceptionally transformative and stoke imaginations in a new way, beyond the perfunctory patronage the films will inevitably receive. Thankfully, based on what we’ve been seeing, that prospect does seem promising.